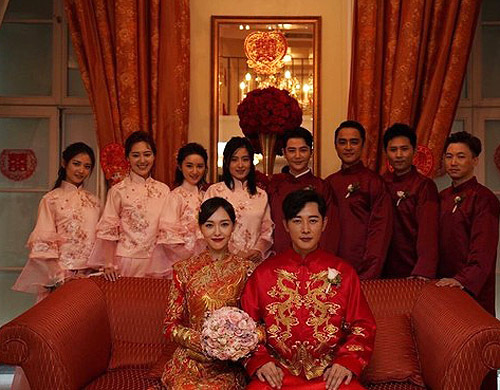 Popular Mainland Chinese stars, Tiffany Tang (唐嫣) and Luo Jin (罗晋), got married on October 28. 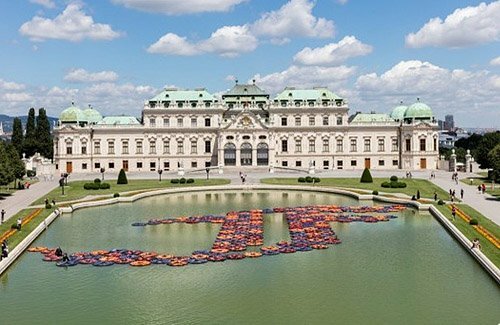 The couple held their wedding at Schloss Belvedere, a museum housed in the Belvedere palace in Vienna, Austria. 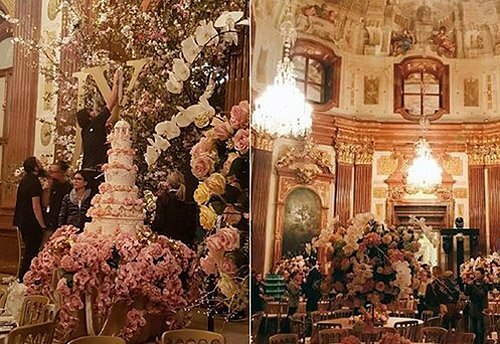 Photos surfaced of the exquisite wedding decor, which was filled with flowers and elegance. 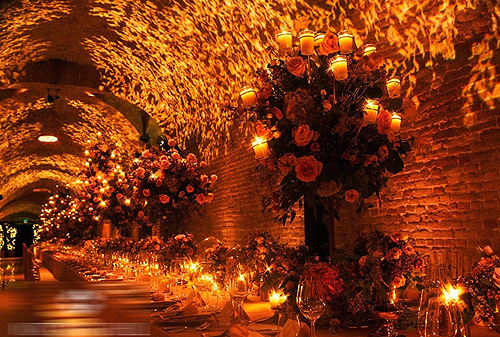 The romantic mood matched with the wedding theme of “a knight and a princess’ fairy-tale story”. 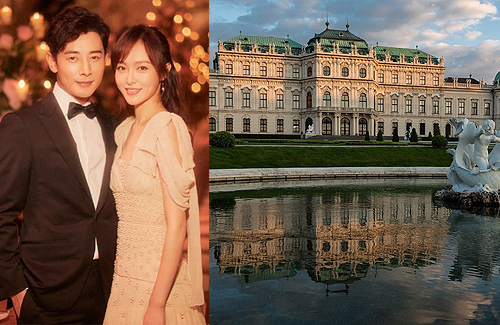 Inside the beautifully decorated Austrian museum, the stunning classic architecture shone brightly under the wedding lights. But the beautiful destination wedding came at a high cost. The Schloss Belvedere charges 1,500 EUR per half hour for wedding space rental. Despite the heavy rain during the time, this did not dissipate Tiffany and Luo Jin’s happiness.The wedding reception started at 19:28 (7:28 pm), a time code that when read slightly off-tone in Mandarin, means “still in love”. The bridesmaids included Chen Yuqi (陳鈺琪), Wang Guan (王冠), Guo Xiaoting (郭曉婷), and Xu Baihui (徐百卉). The groomsmen included Sun Jian (孫堅), Ming Dao (明道), Bian Jiang (邊江), and Luo Jin’s friend from outside the entertainment industry. Good friends such as Hu Ge (胡歌), Yang Shuo (楊爍) came and congratulated the newlyweds. 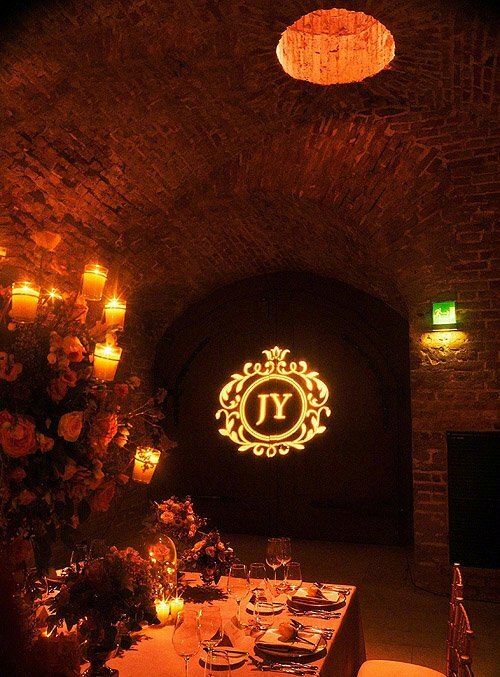 Invited guests had not been allowed to bring their phones because of privacy reasons, but they were still able to capture their memories with the provided Polaroids. Other than the magnificent venue, Tiffany’s wedding attire was also exquisite. When she revealed their wedding photos, her traditional Chinese dress had caught particular attention for its cost, production and handicraft. Apparently, it was produced by an expert designer and a team of dressmakers who sewed each thread by hand. It took 4,506 hours to complete the dress. The designs were inspired from the ancient eaves combined with butterflies and other French design elements. Tiffany’s flowing ivory-colored dress was also made by hand, and it was completed in 650 hours. The matched accessories, purse and high heels were also customized and made under great cost, effort and care in design. 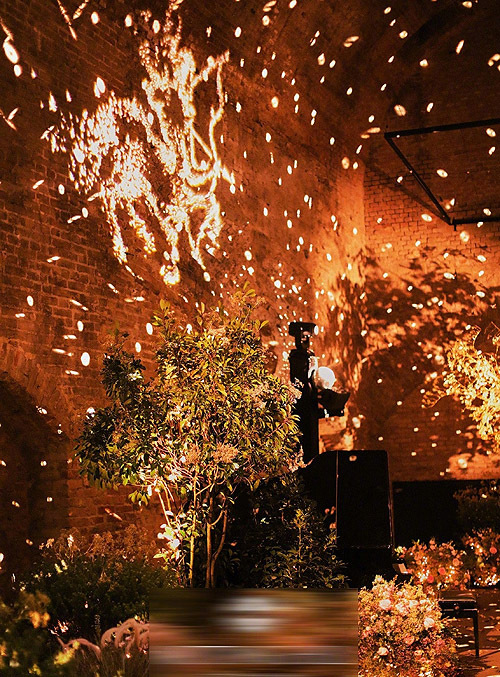 Excited and awed fans praised the couple’s fine taste and their beautiful wedding aesthetics.